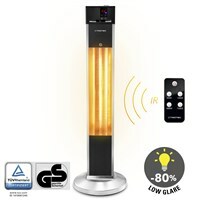 Rapid and comfortable heat exactly where it is needed: the radiant heater IR 1200 S.
The tinted radiant heaters IRD 1200 has a maximum heat output of 1200 W 3 heat settings. 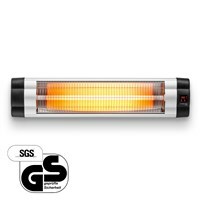 The tinted radiant heaters IRD 1800 has a maximum heat output of 1800 W 3 heat settings. 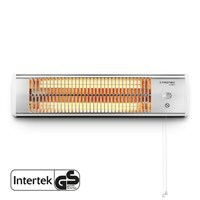 The tinted radiant heaters IRD 2400 has a maximum heat output of 2400 W 3 heat settings. The tinted radiant heaters IRD 3200 has a maximum heat output of 3200 W 3 heat settings. 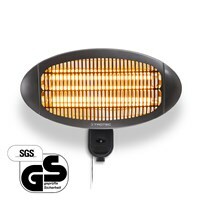 The patio heater IRS 2000 E sets visual accents and offers 3 heating levels. 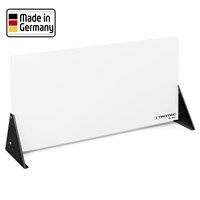 The infrared heating panel TIH 300 S with maximum heating capacity of 300 Watt. The infrared heating panel TIH 350+ is suitable for drying wall surfaces in new buildings. 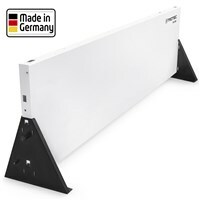 The infrared heating panel TIH 400 S with maximum heating capacity of 450 Watt. The infrared heating panel TIH 500 with maximum heating capacity of 580 Watt. 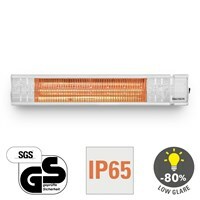 The infrared heating plate TIH 650 is suitable for surface drying of walls in new buildings. The infrared heating panel with maximum heating capacity of 700 Watt. 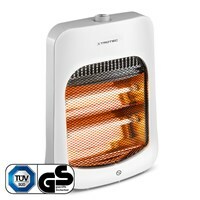 The infrared heating panel TIH 900 S with maximum heating capacity of 900 Watt. 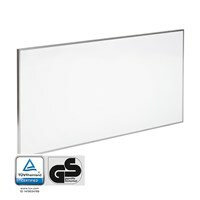 The infrared heating panel TIH 1100 S with a maximum heat output of 1100 watts. For drying out walls in new buildings, for renovating old bulidings and for drying after water damage. The area can only be dried effectively when the heat is spread out evenly over the entire panel. The heating panels are designed in such a way that the panels are excatly in the right position and just the right distance away from the area that needs to be dried when the feet touch the wall.